Rather than cosplay as one of Overwatch's human characters, Mathoz went for something a bit harder: the big blocky robot thing that also transforms into a gun. 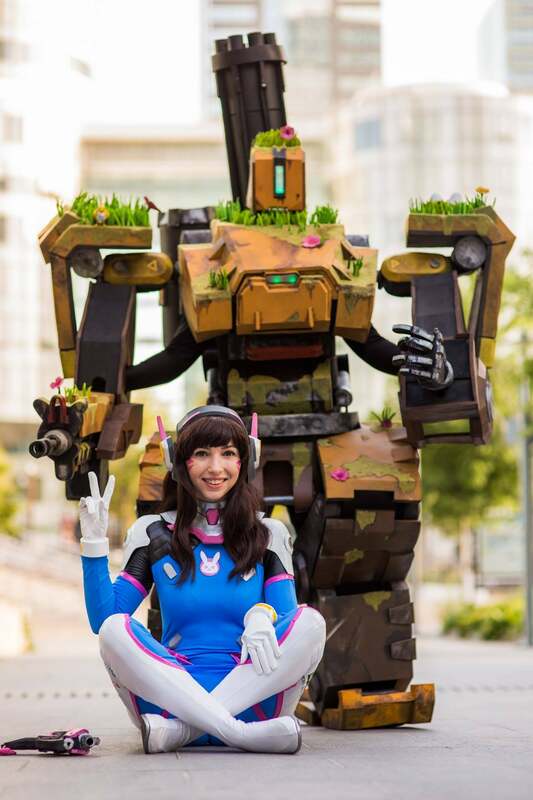 I've seen Bastion cosplay before, but it often suffers from being weirdly out of proportion, since the original design doesn't exactly suit itself to the human body. Not here: Mathoz worked out a way to squeeze his body in there while maintaining the look of the game's character design. And as you can see above, the suit even breaks down to transform, while Mathoz hides behind it and operates the gun like a puppet. Photos by Gautier Bld Photography. 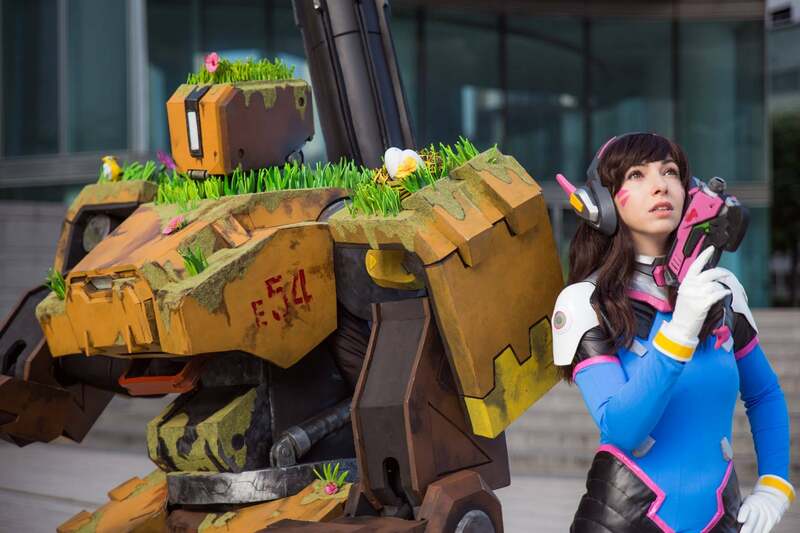 And D.Va cosplay (which is also great, since it's actually hand-made and doesn't just use a store-bought bodysuit) by Dandlit Cosplay.